Why’s that? Right now, the Sport is the only Android watch besides the Montblanc Summit 2 powered by Qualcomm’s new Snapdragon 3100 processor. That’s a big deal because Wear OS as a platform has long been held back by relying on the already two-year-old Snapdragon 2100. So theoretically, the Sport should be able to last longer, and be able to support more power-intensive features. And on paper, that seems to be the case. It’s got heart rate monitoring, NFC payments, and GPS—not too shabby for a smartwatch priced at £250. In classic Fossil fashion, the Sport is chic and I liked how it didn’t dwarf my entire wrist. You can choose between a 41mm or 43mm case, and the nylon case with aluminium top ring makes for a lightweight watch. Older Android watches tended to be chunky, heavy, and clearly not intended for women or any sort of rigorous activity. It sort of resembles the old LG Watch Style—a good thing since it was one of the less fugly smartwatches from the past two years. The main difference is the Sport’s design relies on a nice pop of colour—sort of like the Baby-G watches of yesteryear. And boy, does the Sport come in a lot of colours. Six to be exact: blush, black, grey, light blue, red, and neon. 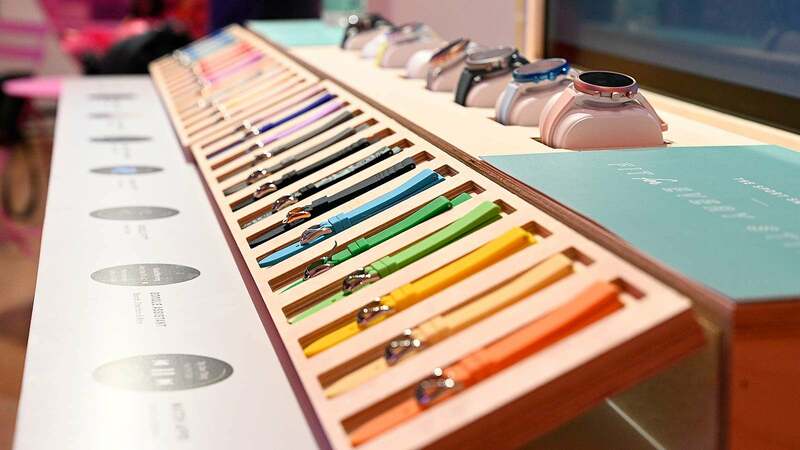 Each is matched to an equally colourful strap, so much so that staring at a bunch of them together was like being slapped with a rainbow. And if the base colour combos aren’t enough, there’s also about six gazillion swappable straps. So when Fossil says the combinations are endless, I’m here to confirm that yes, the only limit is your accessories budget. In terms of specs, the Sport isn’t anything super out of the ordinary. You get your customary altimeter, accelerometer, gyroscope and ambient light sensors. The Sport also comes with a fast charging feature, which supposedly gets you from zero to 80 per cent battery in 50 minutes. 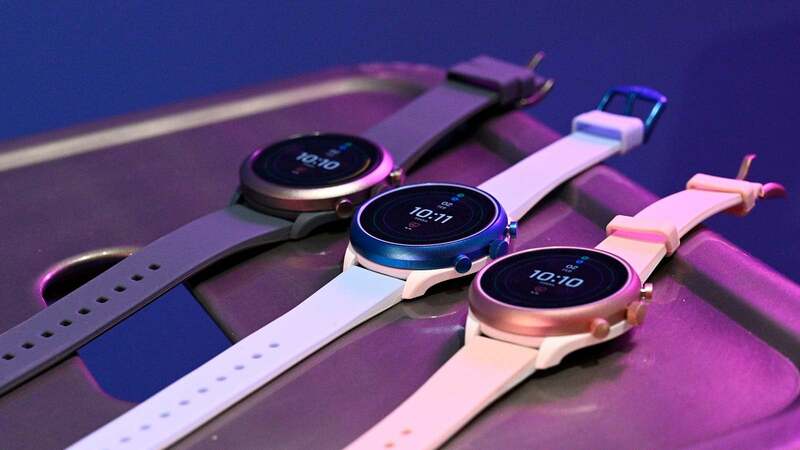 So when I say the Fossil Sport could challenge for the title of best Wear OS smartwatch, don’t get too excited. 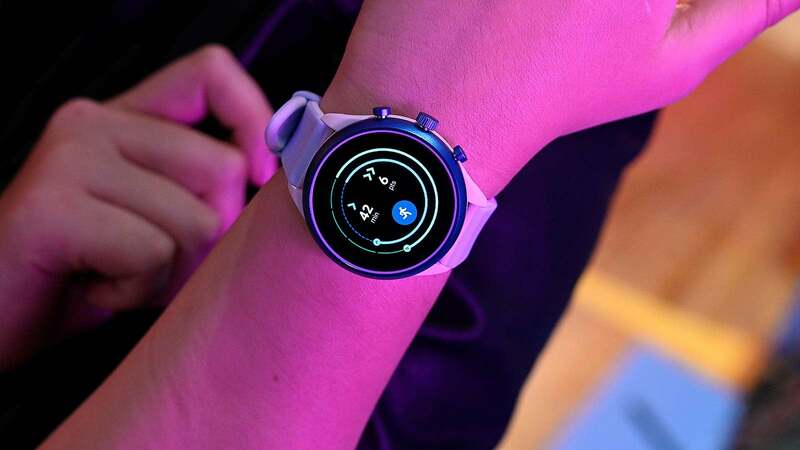 For now, it’s got the best processor to run a revamped Wear OS, the design is sleek and exercise friendly, and you’re not going to need a second mortgage on your house to buy one. That’s an admittedly low bar—which tells you all you need to know about Wear OS watches—but stay tuned to see whether the Fossil Sport clears it.